First of all, let me apologize to anyone reading this who knows me in real life. I’ve been going on and on about this show for the past month and this will likely be the thousandth time they’ve heard me rave about it. How to Get Away with Murder is the best, most addictive show I’ve ever watched. I started it on a whim because Grey’s Anatomy is on a hiatus and I’d seen all the episodes in the latest season of Law and Order: SVU. 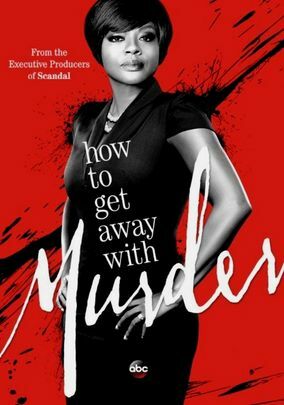 I didn’t know much about it other than that it stars Viola Davis and is about law; seemed like something I might like. Well, I watched episode one and was totally hooked. Over the next two weeks, I watched the entirety of seasons one and two, even dragging my boyfriend along for the ride. So now I’m sharing the wealth and recommending it to you, too. 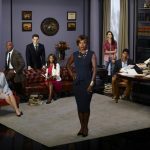 How to Get Away with Murder, a ShondaLand show, follows Annalise Keating (Viola Davis), a tough defense attorney and criminal law professor based in Philadelphia, Pennsylvania. Along with a team of her five best students, plus her two employees, Bonnie (Liza Weil) and Frank (Charlie Weber), she works on criminal defense cases while simultaneously dealing with wild drama of her own. The characters are at once lovable and despicable, which makes the show extremely entertaining to watch because you simply can’t guess how they will behave. The score is excellent, as is the set and costume design, and it’s nearly impossible to just watch one episode at once. It’s kind of like reading The DaVinci Code, where every other chapter follows a different sub-story, so to find out what happens in Chapter 12, you have to read all the way through to Chapter 14. It’s a wild ride! 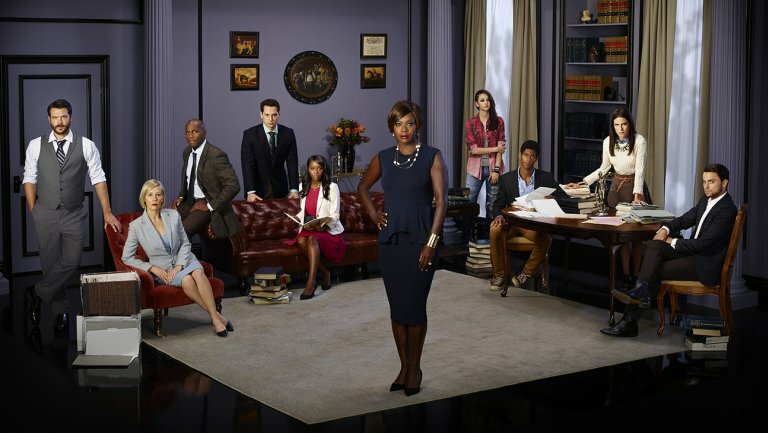 This post is sponsored by Netflix #StreamTeam but the obsession with HTGAWM is purely my own. Since I’ve mentioned several times how interested I am in learning about crimes, especially unsolved ones, I thought I’d do a roundup of the unsolved mysteries that grabbed my attention last year. Lyle Stevik is the self-assigned pseudonym of a young John Doe found dead in a motel room in Amanda Park, Washington in 2001. He committed suicide by hanging and to this day, he has not been identified. This Doe is called Lyle Stevik because he used this name to check into the motel. However, after much research into individuals with that name, no viable leads could be found except a character named “Lyle Stevick” from a novel by Joyce Carol Oates entitled You Must Remember This. It’s unclear whether the pseudonym was meant in reference to the novel. Some theorize that he was from Canada since Amanda Park is near the border, and others suspect he may have been from a Native American reservation. Read about the Lyle Stevik case here. This previously unidentified decedent was called Grateful Doe because he had Grateful Dead tickets in his pocket and was wearing a Grateful Dead shirt when his body was found. He died in a car accident along with the driver of the vehicle, whose family and friends didn’t recognize Grateful Doe (it’s thought that the driver may have picked him up as a hitchhiker). If you were a fan of our old page on Facebook, you might remember that I’ve posted about this case before. Thanks to some very helpful volunteer internet sleuths, this Doe was identified as Jason Callahan in late 2015! Now his family can rest a little easier knowing what happened to their son over 20 years ago. 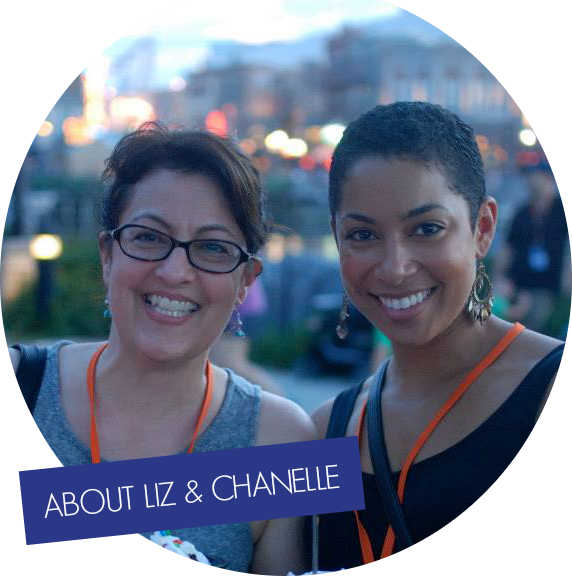 You can read all about Grateful Doe here. This is a really weird case, with most of the weirdness revealing itself after Lori’s suicide. 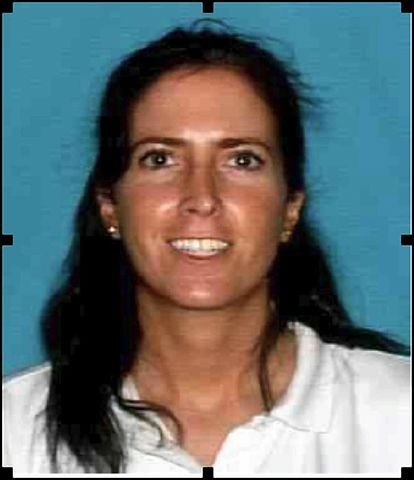 It turns out that Lori had kept a lockbox hidden in the house containing multiple photo IDs from multiple states using multiple aliases. She’d asked her husband never to look in the box, and being the trusting man he was, he never did. Lori’s first alias was stolen from Becky Sue Turner, a small child of no relation who had died in a house fire in 1971, whose birth certificate Lori had obtained somehow and used to get an Idaho picture ID. No one knows her real name or background! 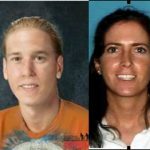 This case is still developing as missing persons are checked against DNA from Lori’s daughter, and the case’s wiki article is updated as missing persons are ruled out. 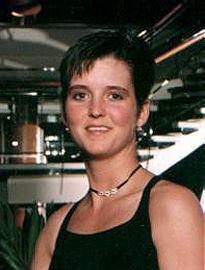 In March 1998, 23 year old Amy Lynn Bradley disappeared from a cruise ship without a trace. She was on a cruise with her family and had been out dancing and drinking the night she was last seen. No evidence has been found that incriminates the people she was with that night, and thus no arrests have been made. There have been multiple supposed sightings of Amy Bradley in various locations, some citing specific tattoos that she was known to have, but none have been confirmed. Read more here. Have you heard about any of these cases? 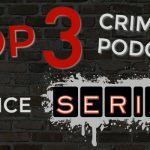 Would you be interested in a roundup of my favorite crime-related podcasts as well? Y’aaaaaalllllllll. Y’all. Y’ALL. 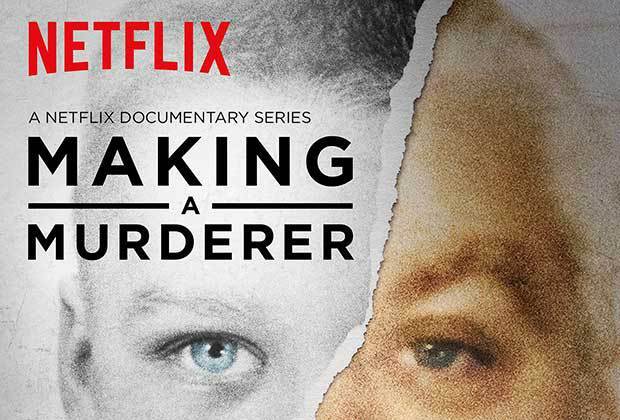 I have got a new show recommendation for you: Making a Murderer on Netflix. I saw someone suggest it to one of my favorite YouTubers, LeighAnnSays, and since she and I seem to have similar taste in shows, I checked it out. I’ve written before about how much I love crime TV, and this show satisfies the crime craving perfectly. Earlier this week I also posted about how my bodybuilding competition prep season has begun, and with prep season comes LOTS O’ CARDIO. Which I hate. The only way I can keep myself on a treadmill for 20+ minutes is to keep my mind occupied by watching something. For me, it’s best to watch something longer, because watching short bursts of video (like on YouTube) interrupts the flow. 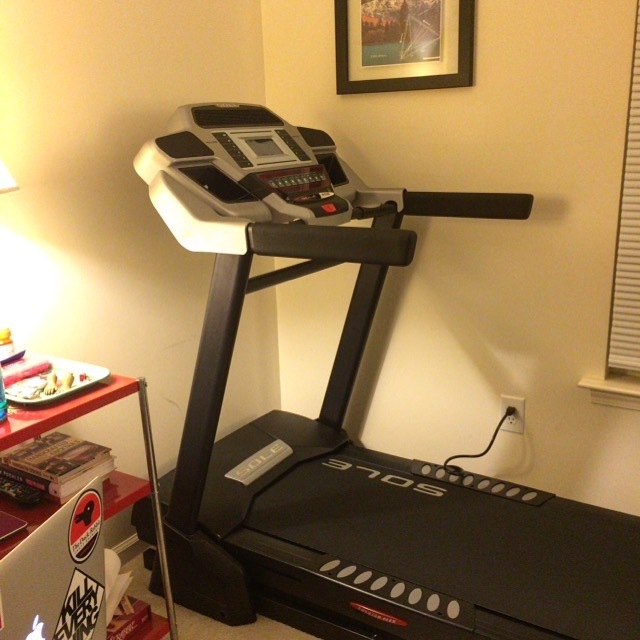 So I prop my iPad or laptop up in front of the display on my trusty treadmill, Tread Milliamson, and go to town. Anyway, back to the show. It’s a Netflix original series in the same vein as the podcast, Serial (which I’m also obsessed with) in that it follows along with one crime investigation from episode to episode. It’s centered on one man, Steven Avery, who was convicted of sexual assault and sent to prison. He served 18 years before being exonerated and released because he did not commit the crime, another man did. There’s much more to the story, but I won’t give it away. If you love learning about crimes, investigations, and mysteries, this show is for you! 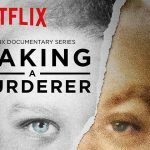 Have you seen Making a Murderer yet? Did you love it? !